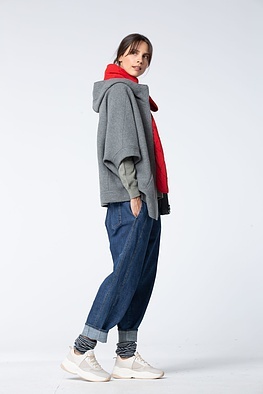 Casual volume distinguishes this OSKA jacket. 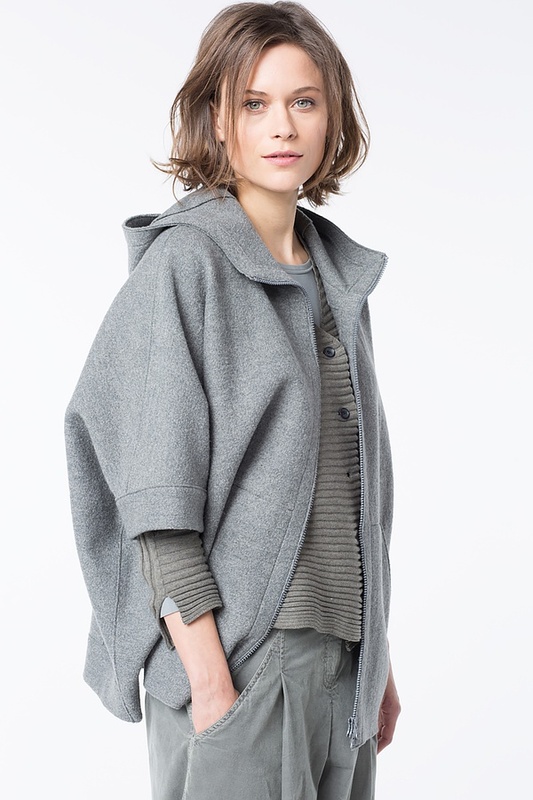 Its V-shape, overcut shoulders and shortened batwing sleeves with broad facing also give this jacket a smart cape-like look. 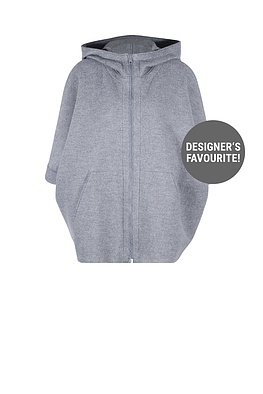 The hood is borrowed from the trendy hoodie as are the striking front pockets and the dominant zipper.